His writing, being so accessible, is praised by poetry critics and laymen alike. Dig a little deeper into any of his poems, however, and you will find remarkable thought and complexity. Much of his poetry is rooted in his rural upbringing and also deals with family, growing up, nature, and history. 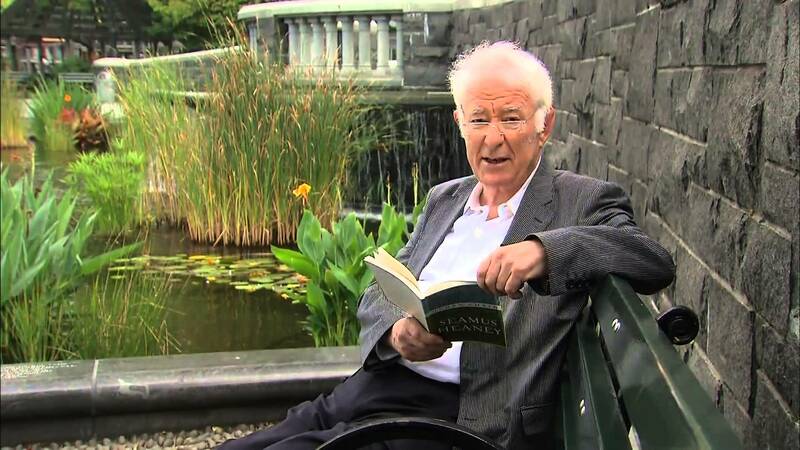 As we explore Heaney’s poetry, think about his works in terms of the “lyrical beauty” and “ethical depth” for which he was awarded the Nobel Prize. Connect to his life and experiences through his words and relate them to your own. Above all, enjoy his poetry! We will mainly focus on his poems from his earliest publication, Death of a Naturalist. I have selected a handful of poems from throughout his career to show his growth as a poet, as well as ones that illustrate important poetic concepts we will learn about in class. You will demonstrate your critical analysis and oral communication skills by presenting a 10-15 minute oral presentation on one of Heaney’s poems in class, and the assignment will follow the requirements and guidelines of the IOC.